This Good Quality Hair Closure with Cheaper Price is best deal for you! 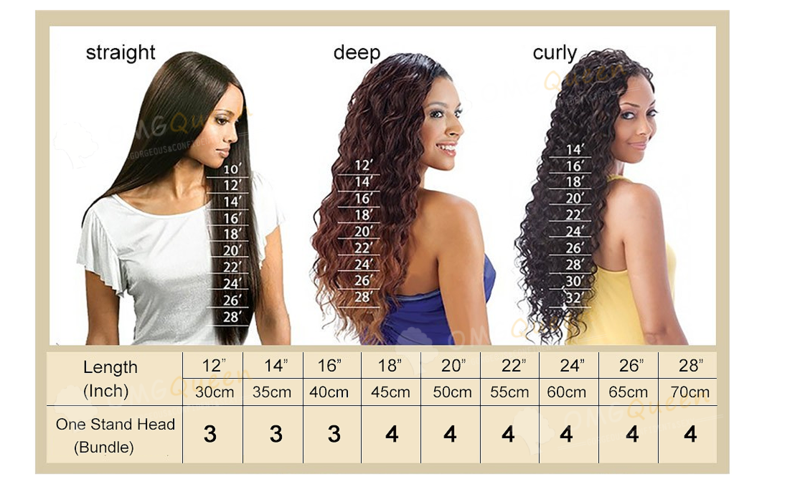 All our three part lace closure comes with 3 parting in the middle ,left and right of closure. It is very natural,look like your natural scalp. Our Natural Curly hair is a curly texture that has not been chemically pressed.It is very beautiful,full and soft. Tangle Free.All Closure is starting at $19,We will free ship it by e-Packet, But it is very slow and easy to be lost ,So we suggest to Choose $19 shipping fee to ship it ,Fast express shipping time is only 2-5 working days. Communication between us was awesome !! Fiona informed me whenever each step was active or she was concerned something was wrong , inches are true to length and my hair even arrived a day early than i thought !! Will be ordering from them again. 1.Closure are extremely versatile and allow you to protect ALL your Hair. For our closure, we have lace closure and silk base closure. 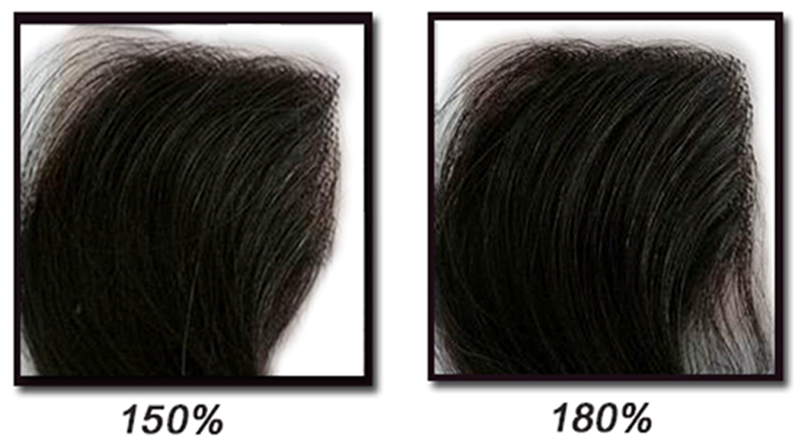 Lace Closures: They are very realistic and provide excellent results, It is made from slight transparent lace material. Silk Base Closures: they have a layer of silk in the base, which makes any parting look very natural. This closure can gives a natural looking root ofthe hair shafft throughout the closure, So you can put a parting almost anywhere and it looks realistic. 2.One closure come with Free Part, Middle Part, Three Part. Free Part closure: There is no parting line on it, you can part it anywhere. Middle Part closure: They comes with a parting in the center. But it also can be arranged by yourself to go anywhere, in the center or on either side to provide a parted look to your hairstyle. Three Part closure: they are one of best sellers, unique and created by our very own founder. This closure allows you the versatility of changing parting at any time with ease. Middle, left and right parting all at your convenience on a closure. If you are ordering a curly wig, the hair length can be drawn up approximately 3-4" from the curl depending on how tight it is.For waves, it can draw up approximately 2-3". 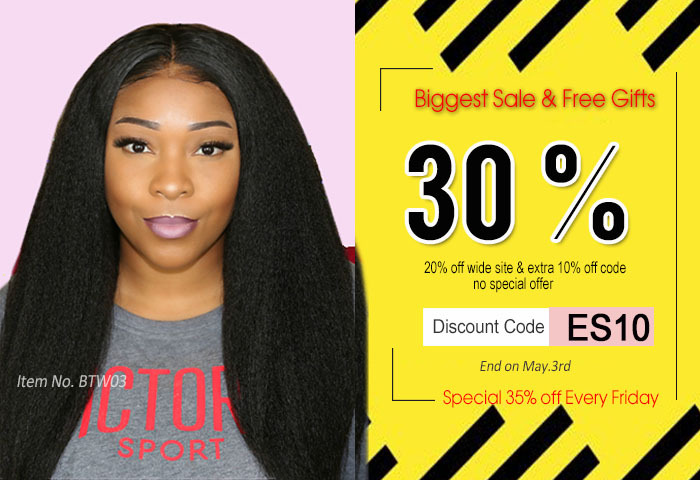 Therefore, you may wish to order a little longer for curly or wavy textures to accommodate the drawing up of the hair and to achieve the full length desired. 1. You need a wide tooth comb before start, Saturate hair in lukewarm water. Once the hair is completely wet ,you can comb hair under water,make sure the hair tangle free. 2. Wash your hair normally with shampoo of your choice. You don’t need a lot of shampoo, just a dime size amount should be enough. Then Rinse shampoo out of hair. 3. After rinsing the hair, Squeeeze any excess water out and towel dry hair, then going to apply the conditioner. You don’t need to add conditioner directly to the roots of the hair, this weighs the hair down if not washed out completely. 4. Place the hair in the zip lock bag. you can add about 5 tablespoons of water to the zip lock bag. just enough to have some moisture in the bag. Then put bag in the micro-wave on bottom shelf for 1 minute. then remove and let sit in closed bag for 10-20 mins until cool. 6. Put the hair on the dry towel and roll up the towel, it can help to make the hair dry fast. Once the hair has been dried, put some olive oil on it , make the hair keep soft and not too dry. Feel free to create a effective way to style your hair care routine, but remember to follow hair care principles, or you will damage your hair. 1. It is very important to seal knots for lace wig & lace closure or seal wefts for bundles, It can protect your hair from shedding, We suggest you seal the hair before use it and after every hair shampoo. Here we suggest TDI knots sealer and Walker Top-Loc Knots Sealer. 2. We strongly recommend not to dye the hair by yourself since the hair dye chemical will damage the hair cuticle, make the hair easy tangle and shedding. We are not responsible for any hair problem caused during dying. 3. Please use some hair care spray such as TRESemmeHEATDEFENCE if you need to style the hair by straighten or curl it. 4. We suggest you make the bundles into wig if you didn’t purchased wigs, and take off it when you sleeping or swimming. If you sleep with it, the hair will easy massed & tangle; The hair will be tangle and hard to comb after you swimming on the pool or the ocean. 5.Natural curly hair are deemed to be fun and flirty with a dose of romance and spontaneity on the character. But curly hair can be especially difficult to take care of and hard to manage, because the curl shape must be maintained for the hair to retain most of its original look. And it is easy to be tangled and frizzy than straight hair .It is normal that the curl shape will be loose after several wash, So learning to take care of your curly hair can save you a lot of money. Put some spary on the hair, then use a wide-toothed comb to very gently get any tangles out, starting at the tip of the hair and working slowly upwards. hair with tight curls generally should not be combed at all, because this can break apart the curls. Once the curls have been separated, it can be impossible to restyle them as they were. Some hair can be gently detangled with your fingers. (please avoid using hair dryers which will make your hair frizzy and damage it). Suggest to wash your curly hair on a mannequin head ,This gives you complete control over the procedure. Use shampoo and conditioners that are specially designed for curly hair. Try not to wash too frequently as it may strip the hair of its moisture and bring about frizziness. Once a week is fine, Detangle your hair after each wash, Avoid towel drying curly hair. After wash, put some oil on it, it can keep the hair moisturized and soft. * Know your hair curl shape is important ,Shape the hair by scrunching it some more and twirling pieces around a finger. * Tie your hair at night with a silk scarf. Braid or plait hair in separate sections to avoid any tangling during your sleep. * Not straighten curly hair as much as possible. It may cause hair problems like shedding and tangle. * When the hair is dry, you can separate curls with your fingers for a fuller look. Never use products with mineral oils on your curly hair, The products below are excellent for curly units, and are also well priced and can be found in drug stores, beauty supply shops and on line. B.Shampoo : DevaCurl No-Poo Condition Cleanser. 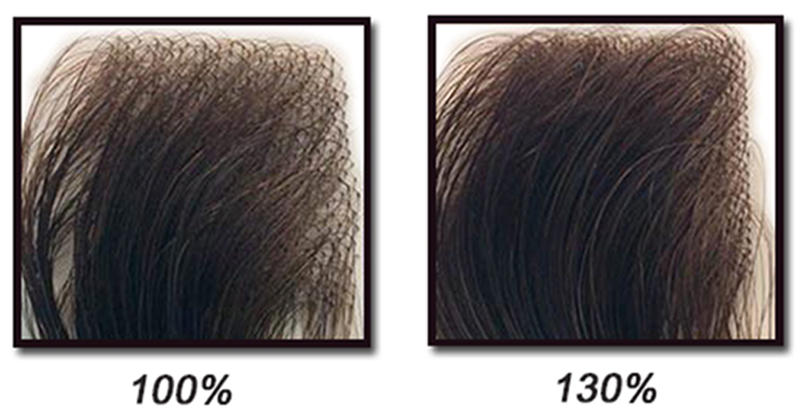 Actual hair fiber pictures appear different on different devices. Please use the below picture for reference only. (Silky straight & Body wave) Malaysian Virgin Hair & Indian Virgin hair Natural Color & #613& #27 can be dyed to any color. But if you choose specific color, such as #1, #1b,#2..., then this hair can not be dyed to lighter color than its original color,even it is made using virgin hair. Brazilian Virgin Hair Natural Color Only can be dyed to Medium Colors, such as #1,#1B,#2,#4.If you choose specifice color ,such as #1b,#2...then it can not be dyed to lighter color than its original color. The wig cap is lace all-around and top are machine wefts. It has 4inches parting space at front and 2inches lace at back.It add adjustable strap at back, combs in front top, back and both side. It is convenient to wear and secure for application.It no need glue( or with a little glue), so as to be very suitable for customers who are allergic to glue. 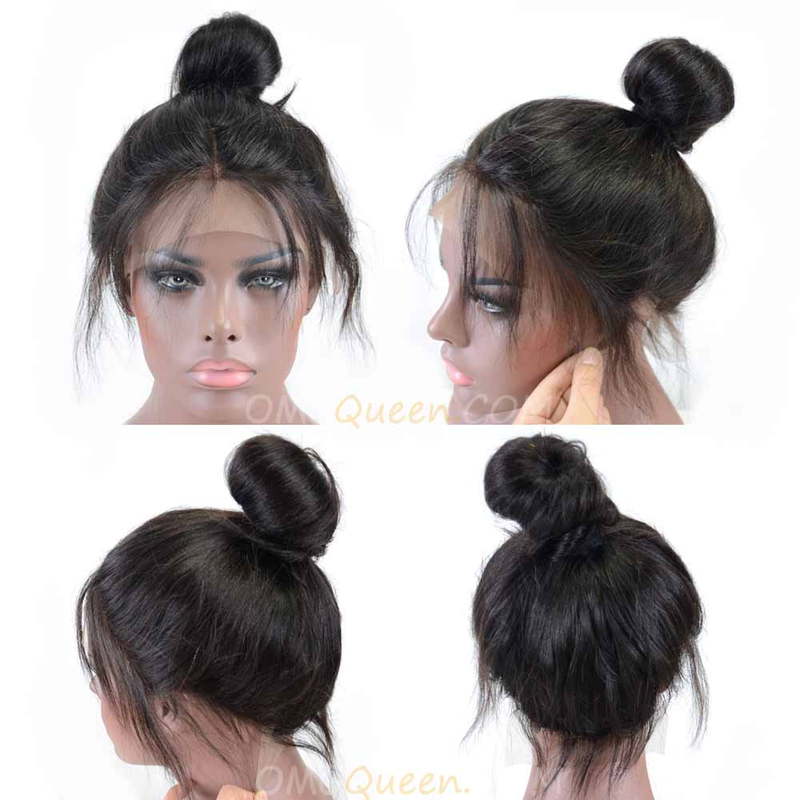 You also can wear it in high ponytail, High bun, updo, do many other hairstyles. This wig cap has lace all around the perimeter, The crown is stretch lace, the other is swiss lace or French lace. You can wear your hair in updos and high ponytails. It need to be worn with Glue, when glued down, it will give you a natural hairline all around the perimeter. It can be parted anywhere throughout the unit. This Wig Cap is a bit like CapA, It add adjustable strap at back, combs in front top, back and both side. It is convenient to wear and secure for application.It no need glue( or with a little glue), so as to be very suitable for customers who are allergic to glue. It can be parted anywhere throughout the unit. This Wig Cap is a bit like CapB, It also has adjustable strap at back, combs in front top, back and both side. It no need glue( or with a little glue), But itadd Metal Strips by two side ,make the wig more stable. It can be parted anywhere throughout the unit. This Wig Cap is Lace Front Wig Cap, It has 3inches of lace at front, The back is stretch with machine wefts. It also has adjustable strap at backand four combs on it .You can’t wear it in high ponytail, Only 3 inches lace you can part it at front. It no need glue( or with a little glue). This Wig Cap is similar to CapD, It has 3inches of lace at front, the other is machine wefts. It also has adjustable strap at back and four combs on it .You can’t wear it in high ponytail, Only 3 inches lace you can part it at front. It no need glue( or with a little glue). This Wig Cap is made by machine wefts, There is only a U part lace area and no excessive lace at front. 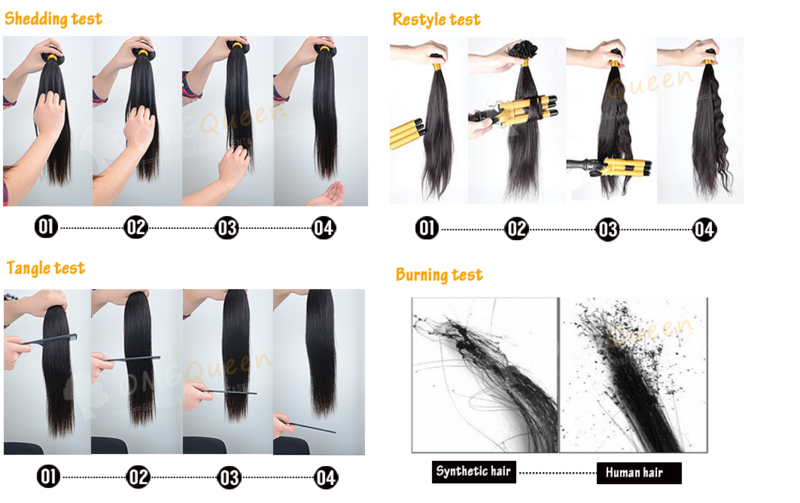 We can do it as middle part or sidepart, The other is machine wefts. It has one comb at front and one at back, It also has adjustable strap at back, It is chepar than other wig cap. Here is the cap size for OMGQueen wigs. Our fitted caps are true to size but rarely, will run slightly smaller/bigger. 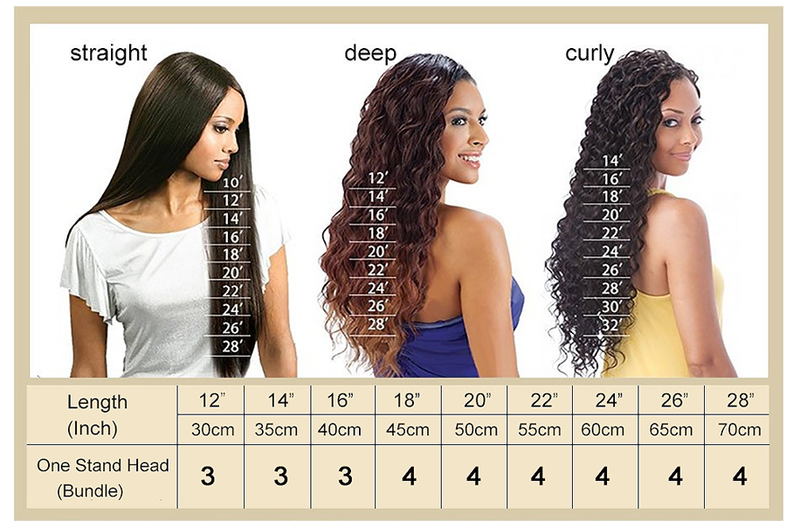 Hair density is simply how many hairs are added to your hair system base.Our stock full lace wigs and lace front wigs are 130% density (default ).Some Celebrity Wig density is higher than standard stock density, Usually we have noted it on our website .We can custom other density wig as our customer request. However, your choice will depend on your styling preferences and individual profile. Most women can achieve a naturalappearance with our stock density wig. 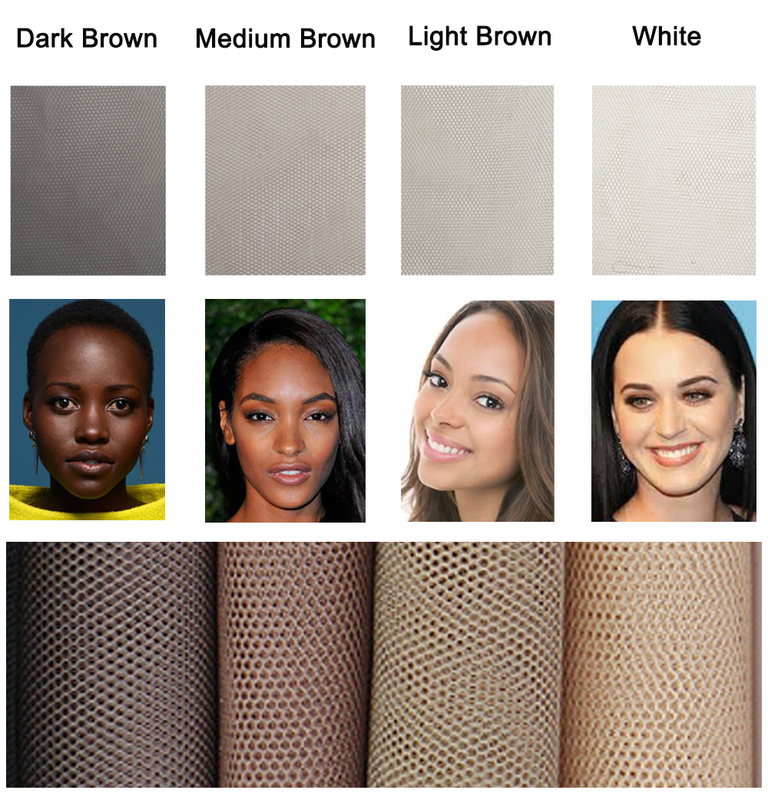 The lace color is to match your scalp complexion not your skin tone. So you need to part your hair and see your scalp color then determine your lace color.Below info is Guidelines ,you can see it as reference. Dark Brown: For the darkest scalp tone, Such as Naomi Campbell, Serena Williams, Kelly Rowland. Medium Brown: For Beige scalp tones ,Such as Ciara, Eva Mendez, Eva Longoria. 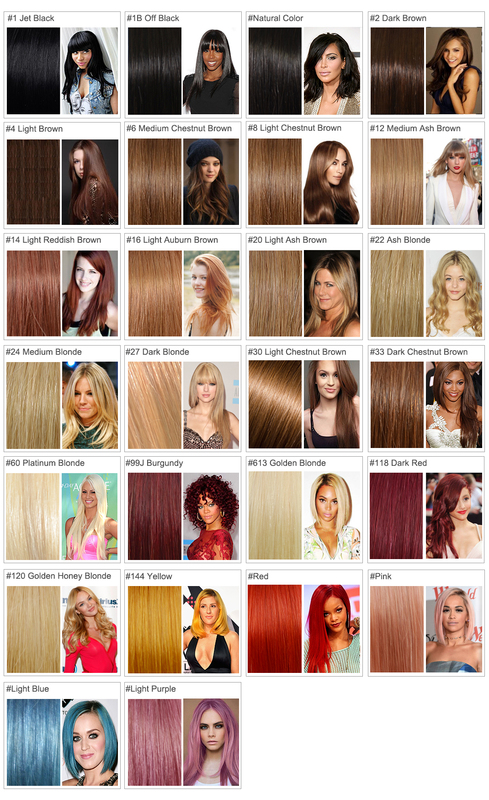 Light Brown: For Light Brown scalp tones, Such as Tyra Banks, Beyonce, Rihanna. White: For White, Off White or Cream Scalp tones. Such as Liv Tyler, Jessica Simpson. All our stock wigs have baby hair all around perimeter by default, Some celebrity wigs have no. If you dislike the baby hair, we need about 30-35 days to custom for you. We suggest you choose baby hair, Because it can give you more natural apprearence. Here is the picture of the wig with baby hair. 2. Normally, Processing time is 1-2 working days for your stock order before shipped. 3. For e-Packet, it need 15-25 working days to dispatch. For any P.O.Box/APO/FPO address, the shipping time is 7-15 business days.We don’t recommend e-Packet and P.O box address shipping. 4. We will mark All orders as "Gift" or "Hair Sample" on the invoice to avoid custom charge. 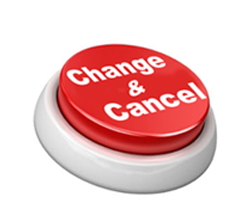 Usually, your order will not be charged a custom fee, but your local custom will check your package randomly, Sometimes there will be custom charge which we are not responsible for the custom charge. We apologize for any inconvenience, but this kind of things is out of our control, hope you can understand that. 5. We will send you Tracking No. by our system email when your order is shipped out. 6. Your order will be shipped to your confirmed PayPal address and your shipping address on the website should be as same as your confirmed PayPal address. We always try our best to make our customer satisfied, If you do not absolutely love your purchase, we are pleased to offer a return or exchange service for you. We are more than happy to accommodate exchanges & returns of the hair that have NOT been washed, tampered, altered and the lace have NOT been cut. Since Human hair is hygienic product. For the hygiene and public safety problem, we DO NOT ALLOW used items to be returned. You must contact us first (at [email protected] with hair pics) within the 45 days period of receiving your order. received your package, We will contact you the first time and arrange return/exchange for you. 1. NO Return & Exchange for customized hair & clearance products. will NOT be responsible for lost return package. or return, we will return the hair to you at your cost. 5.For hair extensions, in its original box, clearly untouched, unworn and odor-free-you can be removed from their box and held up to your hair to ensure correct colour, but the seal around the wefts cannot be broken. all hair extensions which has been used can't be exchanged or return. In some case, our customers need the hair urgently, we provide Fast Exchange to our customers in here. 1.Please place a new order you want before you sent the hair to us, we will ship your new hair ASAP. 2.We will give you a full refund for your returned order after we received the returned package.Please note, the returned product should be new ,unused Or we can’t accept. 1.Shipping Costs on Repair Service: The freight Back and forth will be paid by Customers.